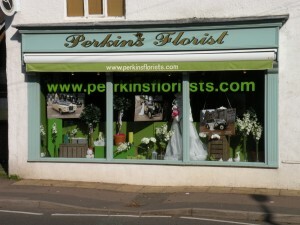 Thank you to Perkins Florist in Duston for the Great Wedding Window Display!!! We would like to thank Perkins for displaying our lovely vintage and classic cars in their window for the Wedding season. This have proven to be very successful in raising awareness of our family business based in Duston. Perkins flowers can often be found on our stand when attending wedding fayres along with a 10% discount voucher which can be used when booking your flowers. We look forward to meeting you at wedding fayres we will be attending or alternatively give us a call to arrange a viewing and pick up a 10% discount voucher. We would also like to thank Geoff Smith Photography for supplying the photographs for the window display. Sedgebrook Wedding Fayre was a great success despite the wet weather. Received alot of interest for 2012 Weddings so really recommend booking as soon as venues have been confirmed to avoid disappointment.